Welcome to SmokinStangs - Forum & Lounge - SmokinStangs.com - A Mustang Forum & Enthusiast based Community! "Home of the SmokinStangs Laconia - Annual Northeast Mustang Rally!" SmokinStangs.com - A Mustang Forum & Enthusiast based Community! 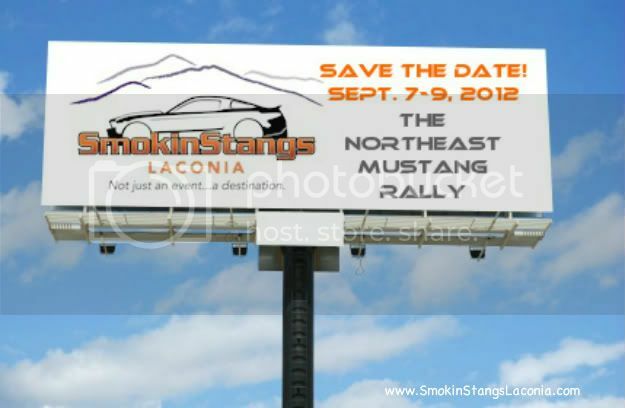 "Home of the SmokinStangs Laconia - Annual Northeast Mustang Rally!" "From all of us here at SmokinStangs.com we wish you a "Happy Birthday Ford Mustang" your now officially 50!! In support of the SmokinStangs Laconia 2014 Rally (In the scenic Lakes Region of NH - June 27-29, 2014) & 50th Mustang of the Ford Mustang. Mustang owners & lovers unite to celebrate Ford Mustang's 50 year Anniversary! Video facilitated and co-created by Robert Pitard of SmokinStangs, SmokinStangs.com, and SmokinStangs Laconia. Special Thanks to all those who helped to make this! Let's Rally & Celebrate Mustangs 50th Anniversary! "We cater to all things Mustang!" SmokinStangs.com is always accepting NEW members for registration....To join is completely free. Please take a quick couple of minutes and register right now. You will get an email confirmation upon your acceptance. Then simply login to the SmokinStangs website, configure your profile, and your done. Registration is simple and efficient, and no personal data is collected. We hope to have you as a member of this exciting, growing, mature, web based Mustang community....where our members, are just as important as the Stangs they drive & own!! SmokinStangs.com is a great way to keep your pulse on what's happening: Events, Members Rides, Club Activities, Hot Topics and Discussions, as well as place to share those Smokin pictures and videos. SmokinStangs.com is running on a Brand New, Fresh platform, with advanced features.......so get in on the Smokin Action! SmokinStangs.com.......is the hot new site to be on! 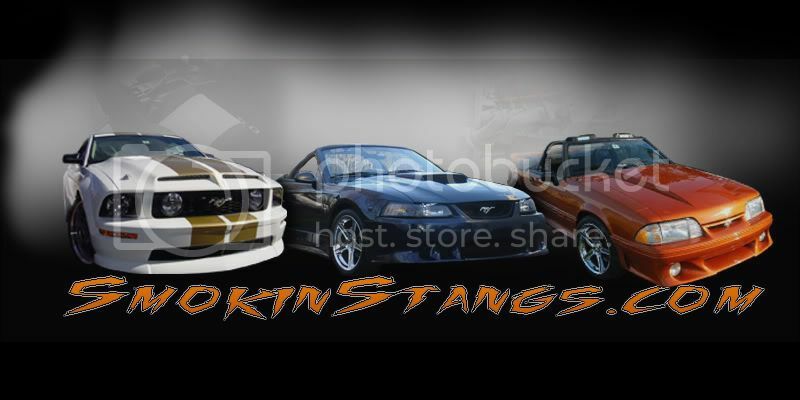 SmokinStangs.com is the new Mustang Blog and Forum, club operated by Mustang enthusiasts for Mustang enthusiasts. At SmokinStangs.com's Mustang Forum & Mustang Blog you will find tips and resources for modifying your Classic, Muscle, Foxbody, SVO, SVT Cobra, Terminator, SN-95, S197, GT500, Shelby, Roush, Saleen, Steeda, and/or New Edge & Specialized Mustangs from other Mustang owners. From our private collection of Supercharged, Turbo, and N/A Mustangs you can see what we are doing with our project Stangs as well! Got a SmokinStang? Post your free profile and photos of your SmokinStang in our Mustang Forum and gallery. Compare what others have done to their Personal Mustangs in our Mustang forum. Here you can join Mustang enthusiasts from around the world and discuss all things related to the Ford Mustang! To gain full access to all SmokinStangs.com member areas you must first Register for a free member account. As a registered member you will be able to participate in our Mustang Discussion Forums and browse and view all areas of SmokinStangs.com including our Mustang Gallery, there will be more Mustang photos of all generations & Mustang Babes than you will know what to do with! This and more is all available to you absolutely free when you become a registered member of SmokinStangs.com, so do please take a couple minutes and register today! Thank you for visiting our Mustang Forum & Blog. What can we say? We love our American-made Muscle Cars! SmokinStangs.com proudly welcomes our soldiers and their families to this site, and truly wish to thank them for their dedication and service. SmokingStangs.com site owner is a former 13B (Field Artillery) US Army Staff Sergeant with an Honorable Discharge. Be sure to check out our "Soldiers Zone - World Wide," God Bless America & yes our Soldiers Rock! Want to learn more about SmokinStangs.com and our Members, as well as their Smokin Mustangs!! Take a look at our Members exclusive video, featuring strictly our members rides!! We hope you will join us other "Mustang Junkies," and perhaps see your SmokinStang in our next video production! !